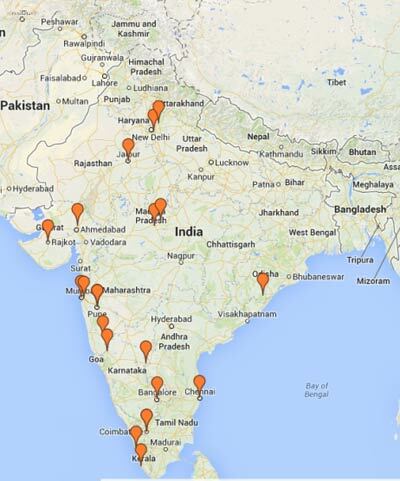 An online workshop in India drew more than 1,200 early-career researchers and PhD students from 20 institutions across India. 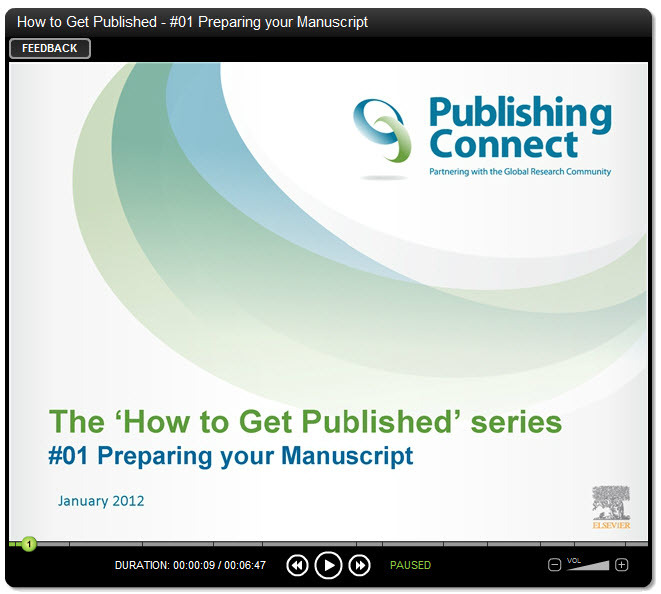 It was the first workshop of Publishing Connect – Elsevier's author training program – to be held entirely online. Even the Elsevier facilitating staff were in separate locations, with presenter Keith Lambert in Oxford, UK, as I joined from New Delhi. "Imagine the challenge for a presenter: 90 minutes with no eye-to-eye contact," Lambert said. "And imagine the challenge for the audience!" To keep the session lively, we decided to make it as interactive as possible, gathering questions through the chat function. The feedback received in the post-event survey has shown that despite the unusual format for an author workshop, participants still gleaned useful knowledge to help them navigate the publishing process. In an online survey after the event, one student wrote: "…The seminar clarified my doubts regarding the importance of individual sections in the paper and their organization. Information provided regarding usage of language was also helpful". The information is very useful for authors, and especially to the new researcher who wants to publish their research work for the first time. 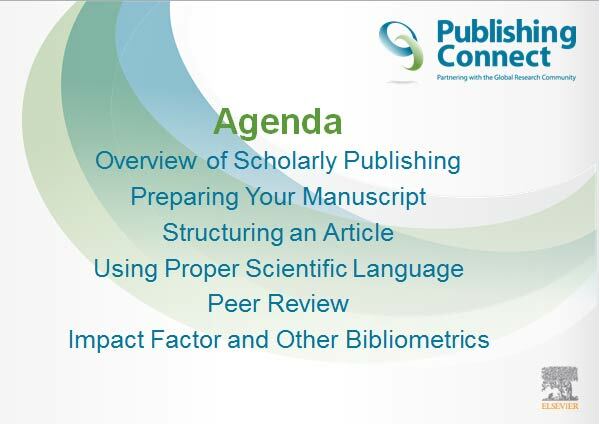 Since 2006, when the Publishing Connect program started, the number of PhD students, postdoctoral students and junior faculty participating has risen year on year; in 2012, our publishers and editors reached a record of more than 24,000 researchers through more than 350 workshops. The 2013 figures are expected to exceed these. The workshops are often hosted by institutions in countries where research is growing rapidly and knowledge of the publishing process is still relatively basic. In these locations, the modules on how to write a paper and authors' rights and responsibilities have been particularly popular. 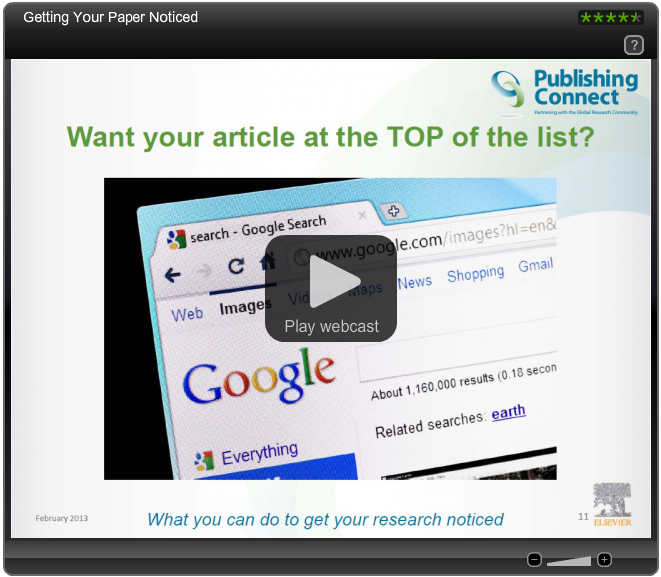 These bite-sized online training webcasts, each of which is up to 15 minutes long, are from the Publishing Connect training webcasts library on Elsevier.com. The series has collectively garnered more than 280,000 views to date, and more webcasts are in the pipeline. In his role as a Research Solutions Sales Trainer with Elsevier's Academic & Government department, Rajeev Kumar supports authors by training them on publishing-related topics. His focus is on South Asia, and during his discussions with the institutions affiliated with the All India Council for Technical Education (AICTE), it became apparent there was a need to connect simultaneously with a large number of aspiring students and early-career researchers. That led him to develop the idea of an online workshop and organize the first one for Publishing Connect. Such seminars and workshops are very good. They should be conducted in Pakistan as well. We at, Centre of Excellence for Scientific & Research Journalism, appreciate such efforts and would welcome you in Pakistan. 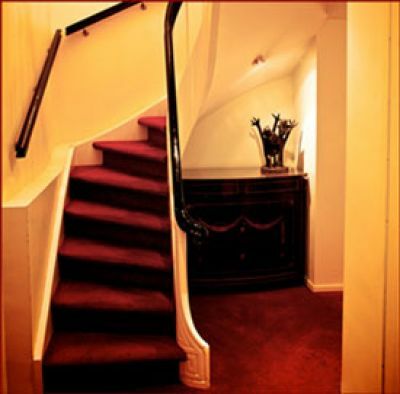 We would like to collaborate with you with all our assistance and management zeal. Thank you for your comment Nasir. I am delighted you are enthusiastic about our training program. Following this successful event, we are exploring many different options, including Pakistan, with regards to increasing our online seminar training program. Kindly inform me when is the next workshop scheduled and what are the prerequisites?